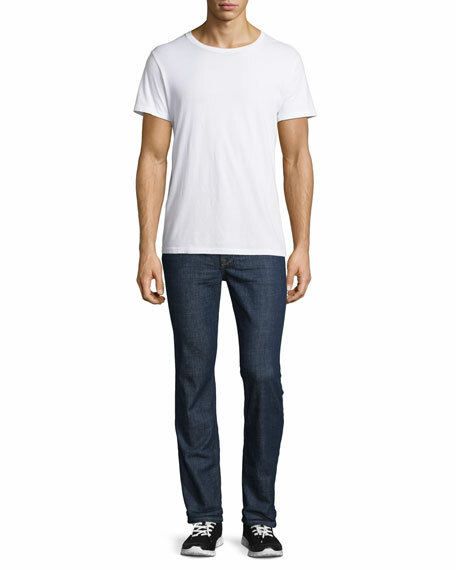 Joe's Jeans "Rude Boy" denim jeans in clean dark navy wash.
Slim-straight legs taper slightly at ankles. AG Adriano Goldschmied "Dylan" slim-fit jeans, eased in the seat and thigh. Comfort-stretch denim with fading and whiskering. Classic five-pocket style with contrast stitching. Button/zip fly; belt loops. Cotton/polyurethane. Made in Mexico. 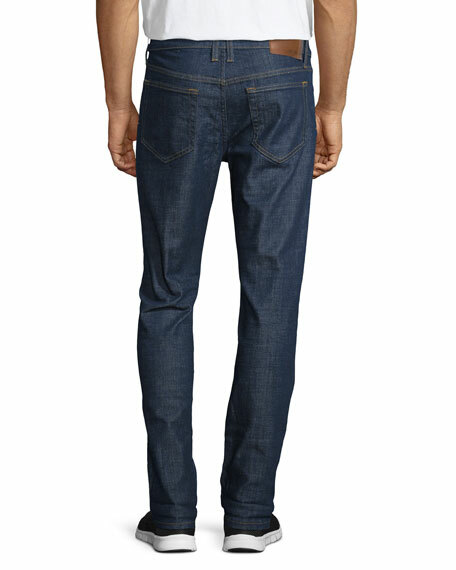 AG "Kingston" denim jeans with whiskering and fading. Distressed through front. Five-pocket style. Button/zip fly; belt loops. Slim skinny fit. 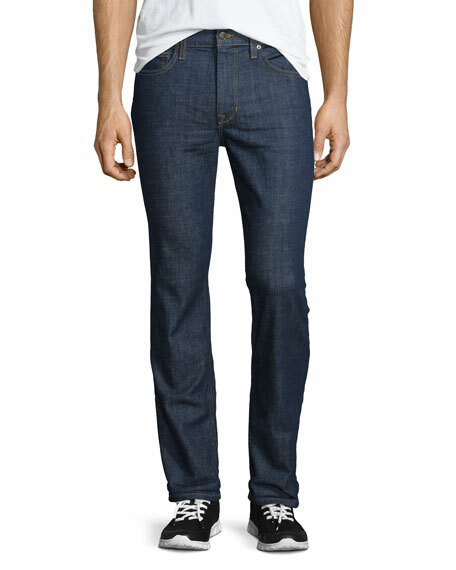 AG "Kingston" denim jeans with whiskering and fading. Distressed through front. Five-pocket style. Button/zip fly; belt loops. Slim skinny fit. Cotton/viscose/polyester/spandex. Imported. Hudson "Vaughn" jeans in echo park wash with distressed finish. Five-pocket style. Skinny fit. Ankle zips. Cotton/polyurethane. Made in Mexico. Hudson "Vaughn" jeans in echo park wash with distressed finish. Five-pocket style. Skinny fit. Ankle zips. Cotton/polyurethane. Made in Mexico. Model's measurements: Height 6'1"/185cm, waist 32"/81cm, typically wears size M.